LD11 has a new accessory in the shape of an extruded aluminium P channel. 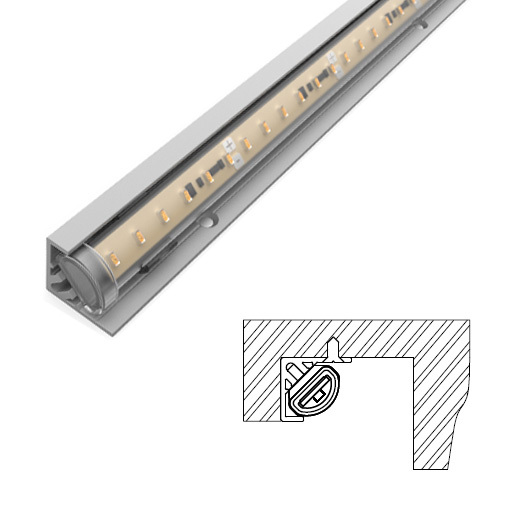 This angles the LD11 at 45° making it ideal for shelf illumination. The P channel is supplied with the spring clips already attached. It is fixed to the mounting surface first with screws, then the LD11 is clipped in, hiding the fixings.